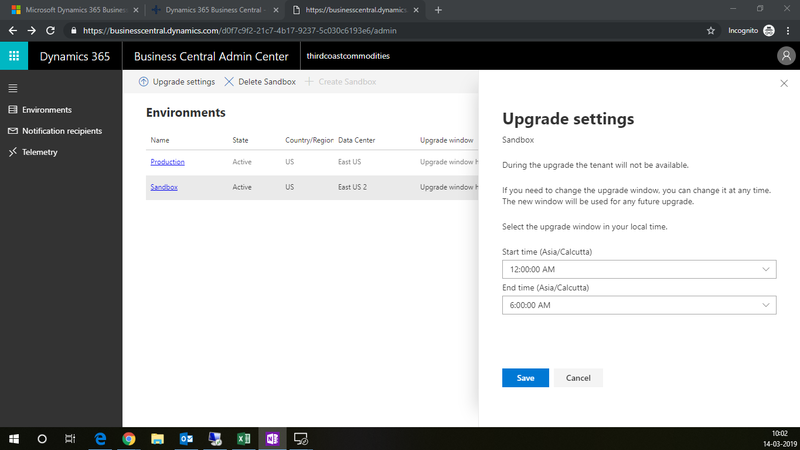 What is Admin Center in Business Central on Cloud? How to use it and what are the implications? 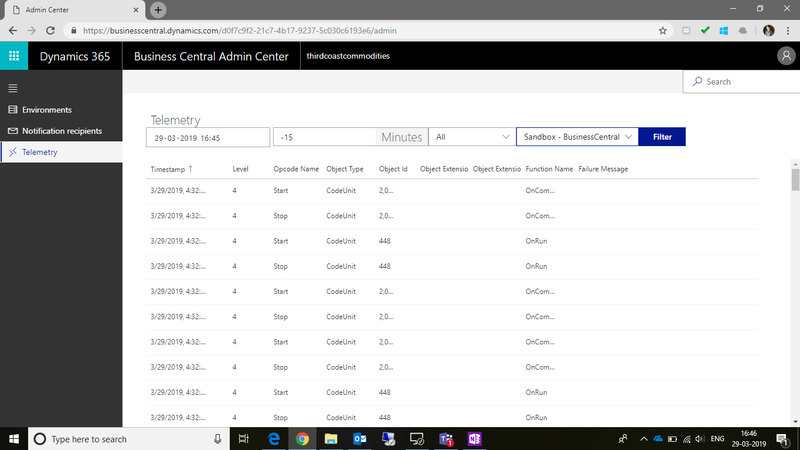 Admin Center is one of the newest features of Business Central On Cloud. Here, you can manage your environments and performs tasks related to your environment. 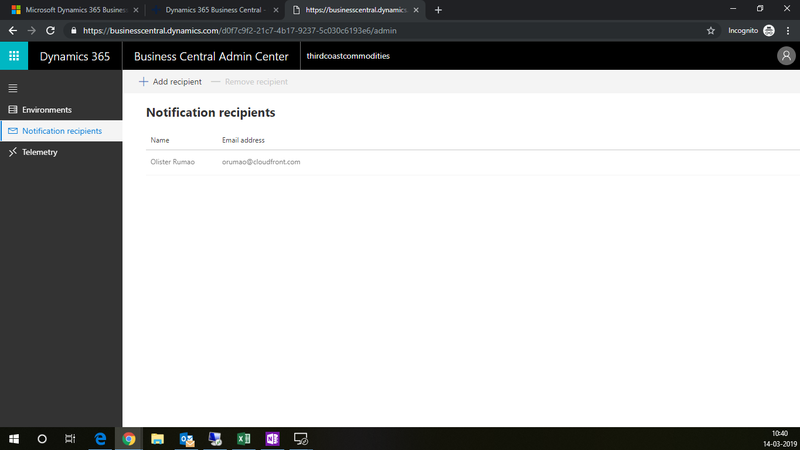 To visit the Admin Centre you should have the Global Administrator permission in Office 365. Here you can see a list of Environments. You cannot Create to Delete the production environment. 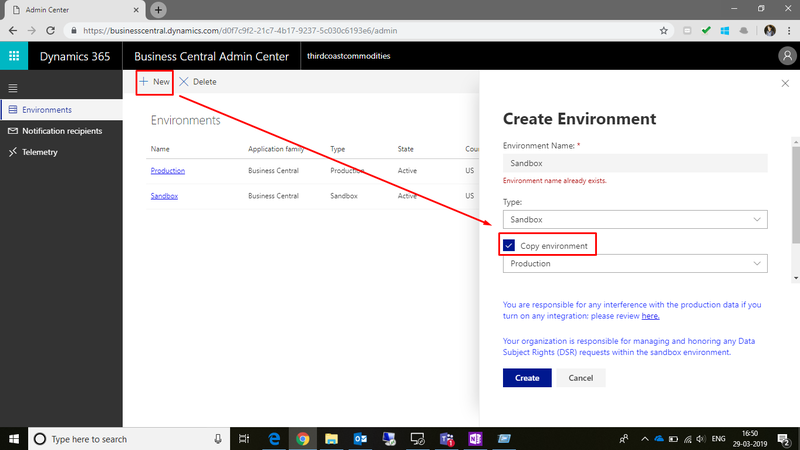 Only you can Create or Delete Sandbox Environments. Notification Recipient is a person to notify in case there are some things to notify the user about. 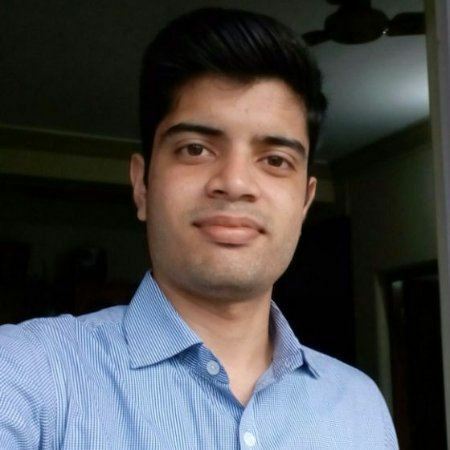 I thought it was with regards to Sandbox Upgradation but I didn’t get any updates during, before or after graduation. In fact, even when the Sandbox was not working it did not send an email. 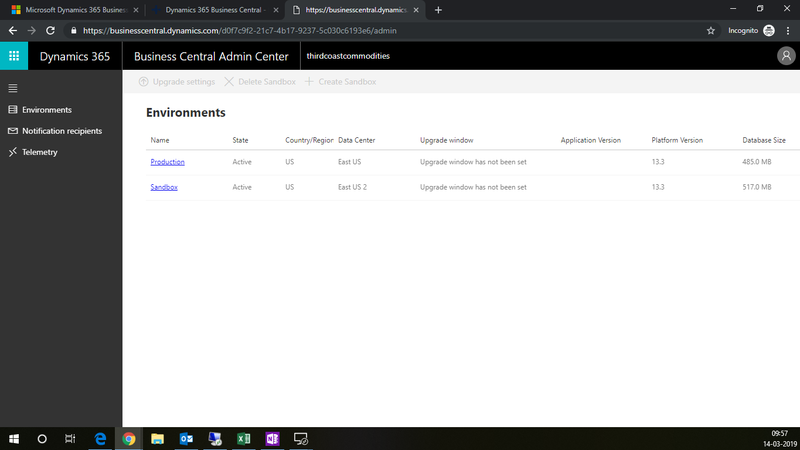 Thus using Admin Center you can get details about the Business Central. You can manage different environments, copy Production environment into Sandbox and Monitor the environments.